Whips got you down? Feeling intimidated or frustrated by their fancy footwork? Let us get your whips into shape! Rooney and Rissa are excited to teach a workshop with progressions to get you whipping smoothly AND safely. Join Becca for 90 minutes of invaluable handstand cues, information and drills that will dramatically transform your practice. 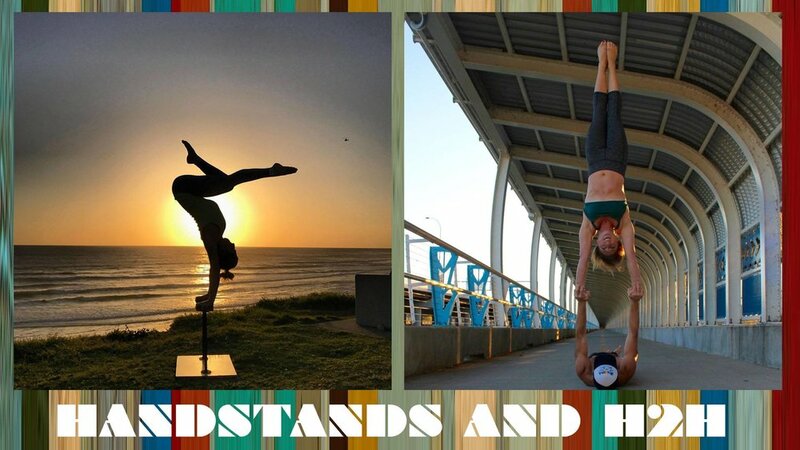 Becca will dive into the mechanics of proper handstand alignment, and work through the body, from hands to feet, explain what needs to happen, and offer related drills, in order to hold a solid, free-standing handstand, without the help of the wall. Do you and your H2H partner need a few tips to grow your practice in the right direction? This 90-minute session will offer training methodology, strategic drills, and coaching tips to strengthen your H2H practice. Two full days of progression-based Icarian acrobatics and washing machines with a unique flow. Dive into the nitty gritty details of throwing, catching, flying full-release, fancy foot work as well as conditioning/strength drills to help you take the practice to the next level. Jon Rea believes in the importance of predictive self-spotting for both base and flyer, deep foundational awareness of how these tricks can go wrong, and a humble open-hearted approach to this practice. 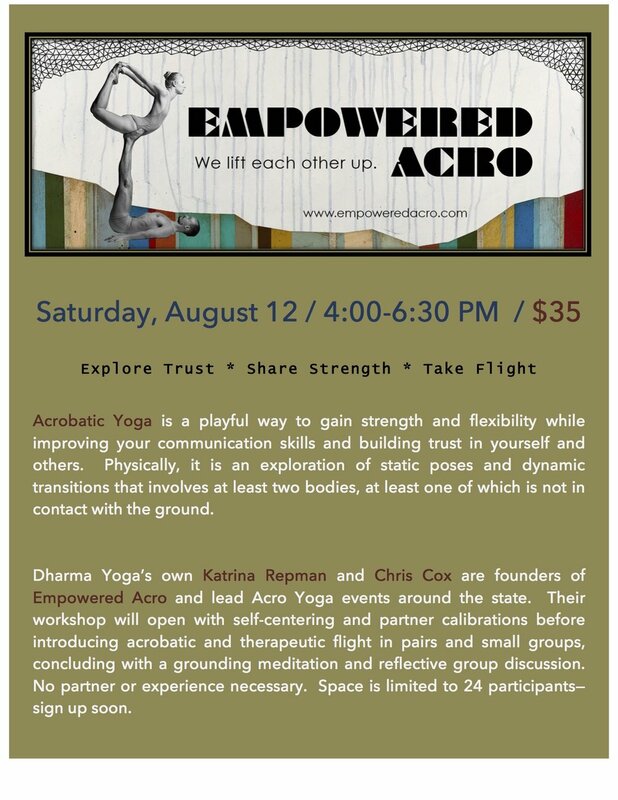 Katrina Repman and Chris Cox lead a beginner-level acro workshop including guided meditations and group discussions to bring conscious connection to the forefront of the practice. Jon Rea and Courtney Shortney headline ACRO SXSW with a 2-hour pop workshop scalable for all-levels. Rooney and Rissa are excited to teach a 2-day workshop with some new progressions to get you whipping smoothly AND safely. The workshop will cover fundamental techniques and progressions to build success with whips in preparation Austin's February 2017 Acro Revolution Tour. New to AcroYoga? This 2-hour workshop is the perfect place to start! Zachariah Garner and Matt Stephans will introduce Level 1 Backbend poses that can open your heart to this partner yoga practice. At the end of the workshop, you’ll have the foundations for a great partner AcroYoga Flow.